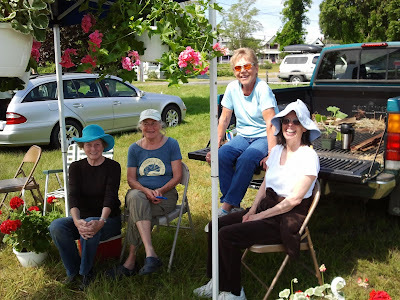 Every Sunday at 8:00 AM we meet up at the Greenhouse to pick tomatoes, flowers, cucumber, okra and eggplant to sell at the open market. The market is from 9:00 AM to 1:00 PM. We are also selling plants, herbs and hanging baskets. Come join us!